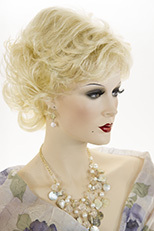 Premium quality hair piece, claw clip with curly hair, which is 15 inches in length. See item details for available colors. Youthful and chic! 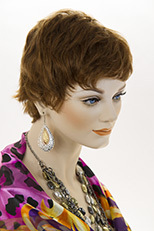 Short straight layered shag style wig. See item details for available colors. 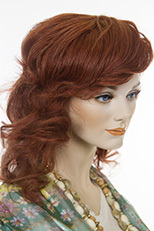 Glamorous, long, straight, soft, lightweight lace front wig. Featuring, an off center right mono part, which is three inches long and 1/2 inch wide. Hand tied, natural looking lace front, with soft light transparent lace. The hair appears as if it were growing right out of you forhead, for a natural looking hairline. For security, there are two small 3/4 inch metal combs which are sewn on the underside of the wig in the front of each side of the head to secure the hair flush against your forehead. A third metal com is sewn at the nape of the neck for security. Length of hair 18 inches. Mid length straight hair, which falls past the shoulder with a soft wave at the bottom. The hair is 17 inches in length. Featuring straight across bangs which are 6 inches in length. See item details for available colors. 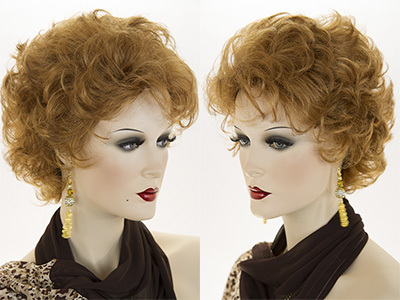 Glamorous mid length, curly style wig, which is layered and shaped to the head with bangs. Ringlets frame the face, falling to the shoulder. See item details for available colors. This medium length straight black wig is inspired by Michael Jackson. Available in black only. Mid length ,wavy, softly layered bob with a natural looking lace front. Slightly shorter in the back and longer in the front. Featuring a natural looking 3 inch curved right side part. The length of hair is from 11 to 13 inches in length. See item details for available colors. Youthful glamour! Long, straight, wavy lightly layered around the face with long soft wispy bangs. Featuring a natural looking skin top, which is approximately 4 X 4 inches. The hair length is 28 inches. See item details for available colors. Chic angled bob hairstyle with 10.5 inches on one side and 8 on the other. Sleek straight jaw length hair curves under. Featuring a natural looking center side skin part. See item details for available colors. Youthful, chic and arty! 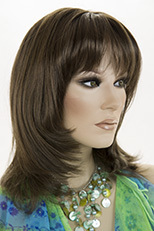 Straight medium length, layered style wig with a razor cut, partial centered skin top and flipped up ends. See item details for available colors. 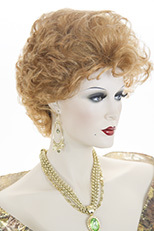 Glamorous party wig! Mid length, layered, straight shag cut with bangs. The hair is 17 inches in length. Dramatic color on the tips of the hair make this such a striking look! See item details for available colors. Youthful mid Length straight hair falling just past the shoulder. Featuring a natural looking skin top. See item details for available colors. Long straight luxurious hair! Featuring a natural looking skin top. The length is 22 1/2 inches and the hair can be parted in any direction. See item details for available colors.